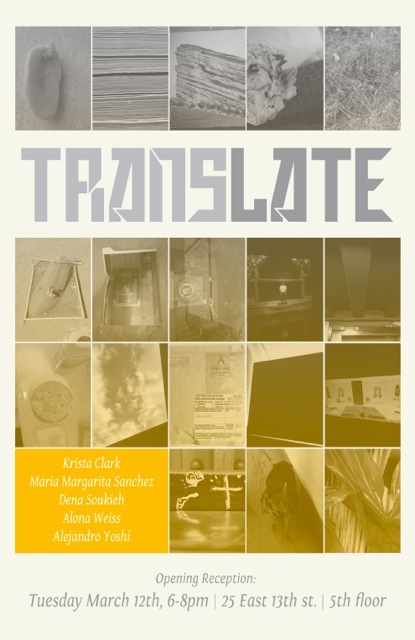 In defining translation through four different voices we are examining the parallel structures we share in terms of language, as well as encountering the overlapping concepts within this idea. This process also evidences the differences in definitions and the understanding of translation as we ourselves interpret the word. In translation there is always a lack. Language constantly fails to provide the true idea when a text or a speech is translated. Instead of a duplicate, we are left with an almost true idea of the original context, a re-contextualized version of the genuine text or speech. This transformation that results in an almost true idea causes problems. To present an almost true the idea requires a process of negotiation, in which the original language has its own autonomous directions and it is intrinsically linked and mediated by the culture that produced it. At the same time, the translation reveals itself to a new audience, which has another approach. This particular audience functions within a different system of reception, and is now reading an almost true text charged with the original context. We rely on gestures and the body when we do not speak the same language. These indexes compose the reliable shared ground allowing us to connect. But can this assumed understanding be to our disadvantage? In American culture, ‘deals’ are sealed with a handshake. Without this finality, we feel insecure in the agreement. We may not, in that moment, consider the possibility it is not in one’s creed, or culture to touch the hand of another. This same distrust seeps in when direct eye contact is avoided during conversation. These examples all speak to difference, be it difference in age, culture and or race. Cultural capital allows us to navigate our native culture freely and comfortably. However when we move within the boundaries of an(other) culture we lose this social security. We become and feel the effects of being a minority within a majority.